Hallett - Climate - A Great Life in Hallett A Great Life in Hallett: moving to the country, information and opportunities. Is it really hot and dusty? Hallett's weather is surprisingly pleasant. The town is about 600m above sea level, so it's cooler than on the plains. The Mt Lofty Ranges provide gully breezes in summer, and many homes are comfortable without air conditioning. Winters are colder than Adelaide, and it snows every few years (see photo at the bottom of this page). Most homes have wood fires and wood cookers, so they're snug and warm in the winter - and there's nothing quite like cooking on a wood stove. Summers are generally dry, but we get occasional tropical storms that fill up the rainwater tanks and refresh the garden. The 'bore water' is misnamed, it's delicious spring water - and there's plenty of it. In hot weather, the Hallett Community Swimming Pool is a popular meeting place for all ages. It's a good climate for vegetables and fruit. Many locals have terrific veggie gardens, and lettuce, rocket, coriander, and Asian greens love the frosty conditions. 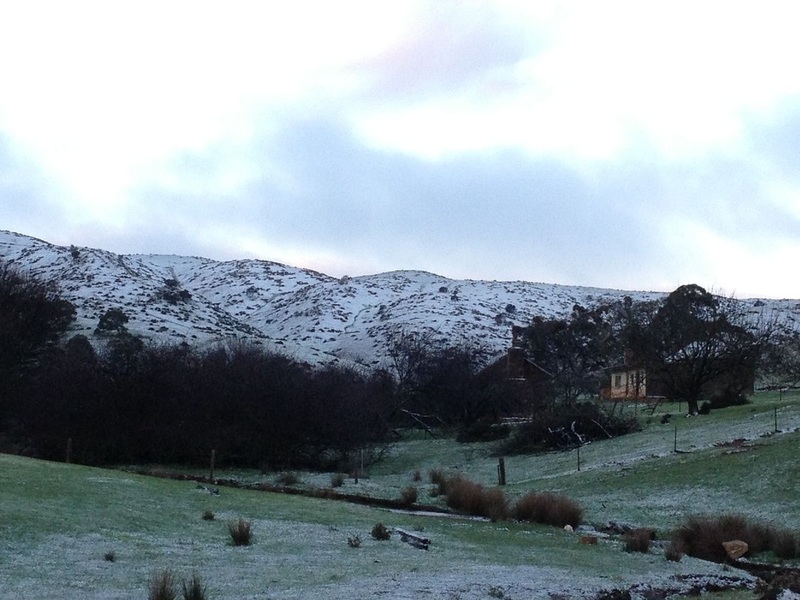 Locals in Hallett were delighted with unseasonal snow in October 2012. In some areas on the ranges it was deep enough to toboggan. Within four days it was 27 degrees, warm and sunny again. 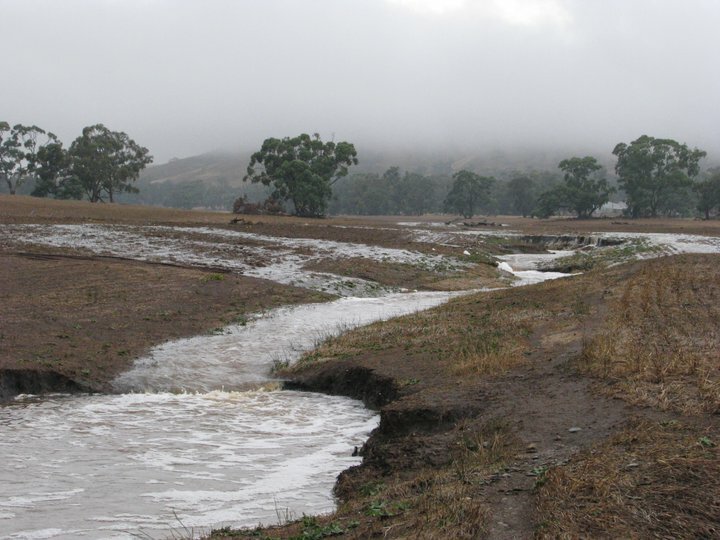 In February 2011 we had 150mm of rain, most of it within 24 hours - creeks that hadn't run in years turned into waterfalls.